Nicely updated single story 3 bedroom 2 bath home with large 2 car garage in the desirable Golden Oaks Community. Updated kitchen/baths. Newer oversized hot water heater and interior paint in 2018. Newer AC, ducting and upgraded insulation that exceeds current efficiency standards in 2015. 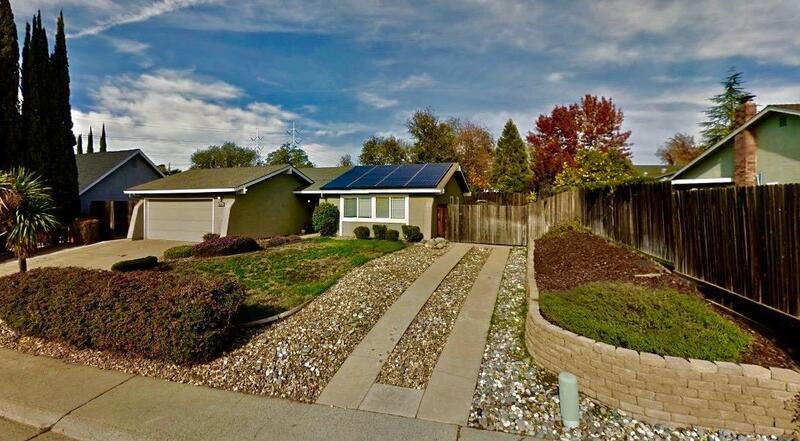 Solar City installed with locked in energy rates for the next 11 years ~20% lower than current rates! Upgraded electrical panel for the house in 2011. Newer Pool Pump. Energy efficient dual pane windows installed in 2009. Garage has finished walls and an Insulated garage door. Professionally landscaped yard with beautiful built in pool for cooling off on a hot summer day. Private gate access to Northwoods Park with tennis, basketball and play area and walking trail. RV/Boat access with RV electrical hookup. SECTION ONE AND TWO CLEARANCE IS ALREADY OBTAINED.